How Does Heat Styling Hair Work and Why Is My Hair the Way It Is? As humans, we are all unique... and so are our hair types. 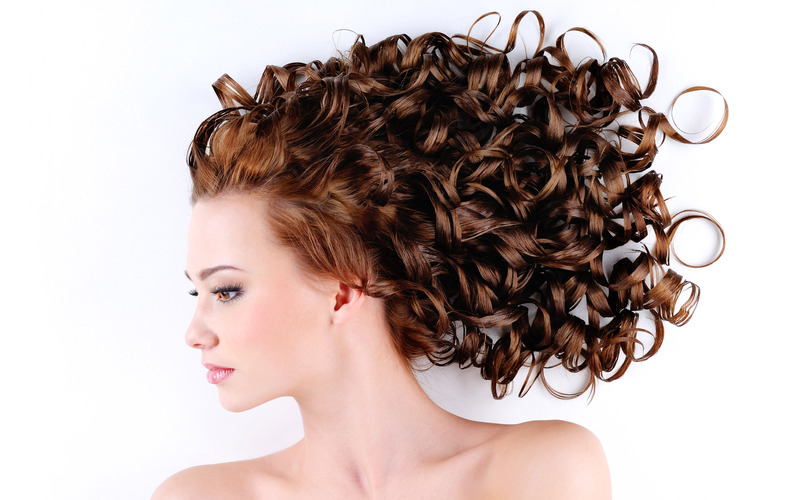 We can have a large array of hair going from fine, thin, and straight to robust, curly, and full. But regardless of where we fall in those two categories or in between, we have something in common; why our hair is the way it is. In each strand of hair we have unique chemical bonds that can be found in the strand. These chemical bonds are sensitive to heat and break during straightening (where they are flattened), curling, or blow-drying. Styling with heat products works because it temporarily changes the texture of the hair strand. According to Cornell University, we can thank the hydrogen bonds that form between the keratin proteins in each strand for our natural hairstyles. Cornell reports that the hydrogen bonds that can be found in each hair strand are weak and easily affected by water and therefore, easily react to humidity in the air. There study reports that the reason why certain hair products work better than others is because they are responsible for coating hair strands temporarily with products that diminish the penetration of water into the hair. The study also continues on to discuss why hair is naturally curly or straight. The conclusion that was based was that the curlier your hair is, the more disulfide bonds you have in each strand. In short, keratin proteins contain cysteines (amino acids) that are linked by disulfide bonds, which consist of two sulfur atoms that are bound together. The only thing is, askbiologist.or.uk reports that disulfide bonds are not affected by water and can only have their covalent bonds broken by extreme heat (that often times cannot be administered by a hair straightener) allowing the conclusion that hair straighteners do not break these covalent bonds, but in fact "re-naturates" the keratin proteins found in the strands of the hair. But after a conclusion like this, one must ask why do certain heat styling products work better than others? According to livestrong.com and ehow.com, non-ceramic products do not heat the hair cuticle from the inside out and therefore heats the outside of the hair first causing damage to your hair and a shorter lasting affect. The website continues to say that ceramic straighteners thermally straighten hair by using heat to temporarily break down and reform the hydrogen molecules in the hair cuticle. With this being true, to limit potential damage to your hair, the AAD/The American Academy of Dermatology does not suggest straightening your hair more than 2-3 times a week using heat or using an iron that exceeds the temperature of 347 degrees Fahrenheit. After learning about how heat styling works, what would you change while styling your hair? Very scientific analysis of hair care, I loved it! I, myself, have very naturally curly hair and try not to straighten it more than 2-3 times a week. 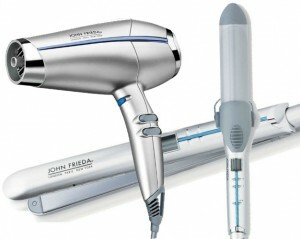 I do wonder though, what about the affect of blowdrying? You spoke about ceramic straightening but not about the blow drying process. Would this be considered even more harmful even though it does not have direct contact with the hair cuticle? Also, what about curling irons and wands, since they are on the hair much longer than a straightener is? Are they more dangerous? I used to have very damaged hair but I did find some deep conditioning that worked for me. Do you know if they actually repair the cuticle or simply mask it with an oil based polymer? I hear that having curly hair is much drier than straight hair and more susceptible to damage. I looked it up and apparently because of the texture, the oil from the scalp has a difficult time making it all the way down the strands. There for you probably should dye or straighten it. ....But I do! Last week when I was getting my hair highlighted for the 50th time in my life I had a plethora of questions for my stylist. One was how easy is it to go back to being a brunette after being blonde for so long. She said it takes a couple of colorings because the follicles have been opened by bleaching and they need time to close in order for the color to stick. Fun fact. I'm African American and my hair is naturally curly but I use a relaxer, which straightens it chemically. I've always wondered whether or not that was slightly better than using heat. I still have to use a straightener after I relax my hair because the relaxer only straightens my roots, but my ends are wavy/frizzy. I've also gotten bleach blonde highlights last year and I've gotten a lot of breakage. I've done research on how to care for bleached hair and it mostly includes deep conditioning. Also, through all of the research I did on this topic, I saw that blow drying in fact causes less damage due to the heat being blown through and around hair strands. Even though it's being blown onto hair in a reasonably direct manor, it is nowhere near as direct as a straightener or curling iron which has hot plates or barrels that sit on the hair strands themselves. As for wands and curling irons, the article above discusses those! I unfortunately cannot say whether or not deep conditioning treatments mask the hair or replenish the cuticle off hand. That is a fun fact! Thank you for sharing that with me. I actually wondered about that. Basically, what chemical straightening products do, is relax eliminate some of the disulfide bonds in your hair follicles relaxing the curliness of your hair.